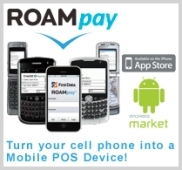 The Premier BEST-for-LESS Merchant Account Provider ! Established in 1994, 1st National Credit Card Processing is the leading BEST-for-LESS provider in the electronic merchant card processing industry today. 1st National Processing can design and implement the perfect merchant account payment processing solution for YOUR BUSINESS, whether it be retail, wireless, wholesale, home business or internet e-commerce. Our Merchant Partners’ Alliance has established longstanding relationships with numerous merchant card settlement banks, credit card processors, lease finance companies, credit card machine & point of sale (POS) suppliers worldwide. These resources allow the Merchant Partners’ Alliance to offer a variety of superior products and services at extremely competitive prices in all types of industries. 1st National Card Processing offers merchant account solutions for small family owned operations as well as international chains and corporate accounts. Contact us today and we will design a Credit Card Processing Solution appropriate for your requirements and budget. We really want YOUR business and we will prove it! Whether you are a first-time merchant who is looking to obtain your first Merchant Account or you are unhappy with your current processor (73 % of our current customers have switched to us from another provider), we provide you with a simple, efficient and low cost credit card processing merchant account that accepts all major credit cards and bank ATM Debit cards. And you’ll be up and running in 48 hours! We offer a free, no pressure evaluation of your current processing services so you can see for yourself that we offer the best possible service at the most economical cost.